No doubt android is one of the best (if not the best anyway) and latest OS in the world today with the likes of Blackberry, iOS and Windows Mobile. Gone are the days when symbian was talk of the town and java users were princes. In fact, today the java phones are almost extinct and symbian is going into oblivion as it no longer rocks the town. Lest I forget, do you know Nokia Inc. no longer produces symbian phones? Now the question is: if symbian still gains respect as of old, why has Nokia Inc. (the only producer of symbian phones) switched to Windows Moblie OS as found in the Lumia series? One distinguishing feature of the then symbian phones was their ability to share applications with other users just as today’s blackberry is known for its ability to ‘ping’ (though soon to become history). Now do you know that android phones can REALLY perform the task of symbian OS? Oh yes, the ability to share applications to other android users through bluetooth. It pains me a lot when I see so many android users who don’t even know it is possible to share their favourite applications with their loved ones or get a much coveted application from someone else to their phones. Now moving to the helm of business. How is this sharing possible? 2. you need to allow/enable installation of non-market apps. With that in place, how then can we send the application? Ans: It is just a two- step approach. -Look for the apk file of the application you want to send on your phone. And .apk as in android. So, 2go.apk will install 2go on your device, whatsapp.apk will install whatsapp and so on. Now do you get it? -Next Search for the name of the Bluetooth you want want to send the file to and select it. b.) Use of an application: This is the method I use all the time and would recommend because it won’t be easy to find the apk file of the application you want to send. Yes you need an app to send an app. Isn’t that funny? The app I use which never fails me is ‘Share App’. I love this app a lot. No dou' abt what will com to the mind of many is for to mention 'flash share app. But do not worry I will write on that later. Even 95% of those who have flash share on their phones do not know what it does; and 80% of those who know the function do not know how to use it. -Go to google play store on your device and search for it. Download it here and install it on your device. After installation, open the app and wait for it to load the apk files of ALL the applications installed on your phone. 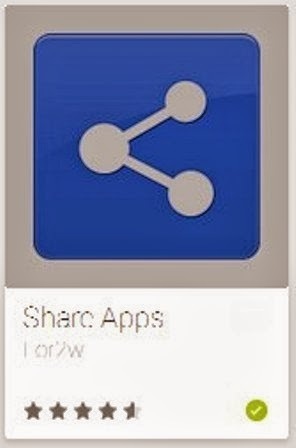 -Then search for the app you want to share and select it. -Search for the bluetooth you want to send the file to and select it. Many would wonder why this step is included or necessary. Afterall we have successfully sent the app through Bluetooth, why then should we install it? Answer: In fact, this is the most important aspect of the whole process and we have not done anythying if we do not continue we are yet to achieve anything. Remember I told you earlier on that an apk file is used for installation and what we only did in step 1 is just sending the apk file of the application. So, we need to install it on the other person’s phone through the apk file we sent. 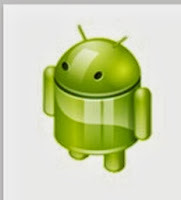 -Search for the apk file that was sent to the other person in his/her phone. It is usually found in ‘Received’ folder and sometimes in a folder named ‘Bluetooth’ in some devices. -Click on it to run the installation process. Here it may tell you your device has been blocked to prevent installation of apps not gotten from the android market. Do not worry, just select ‘settings’ and search for ‘unknown sources’ and tick the box to allow for installation of non-market apps. -Select ‘install’ and wait patiently for the job to complete.